Maltese teen pop artist Stefan will be performing live at Pledgers Club in Qawra on Saturday night. The show, Stefan’s first mini-concert set, will feature all the young singer’s recent releases, which all fared very well on the local radio charts and landed significant airplay. Apart from Stefan the performance, which is supported by Aiming 4 Fame, ICAD, Music2Deal, and Aaron Benjamin from One Radio, will also feature Miss Rachel and Maria Galea and Milla. 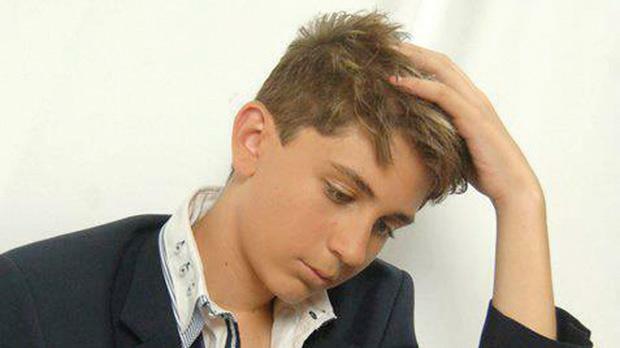 Stefan first appeared on the local music scene through his participation in the Malta Junior Eurovision song contest with his song Shake Up Wake Up. Thanks to contacts established though A4F Music/ ICAD, he has successfully collaborated with several songwriters and producers from the UK, US and Europe. His debut single Take It Or Leave It scored him his first number 1 on the local radio charts, a feat he repeated with its follow-up Shotgun Lover, which also featured rapper Dimal. Last summer, Stefan made his mark on the pop scene with two new releases, The Fittest Girl In History and Can’t Wait, as a result of which his profile on TV and radio was boosted even further. He is currently working on new material with a number of songwriters, among them Charlie Mason (Eric Saade, Miley Cyrus, Lemonade Mouth, Ashley Tisdale), Mark Olrog (Acorn Publishing) and Mark Ainsworth (UK) and Madeleine Dargue. Tickets are €3. Price includes a free drink and mini-buffet.